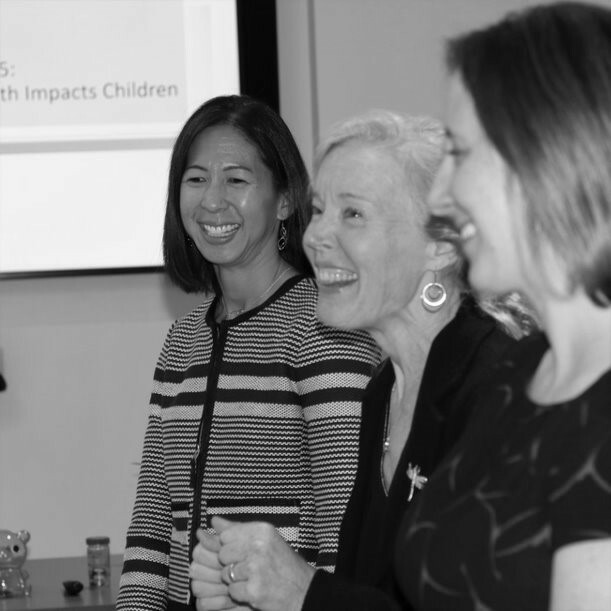 Liz Darling, Susan Dahl and Jessica Grande of LEVATUS, hosted a diverse group of parents, grandparents and teachers at the Boston Public Library’s Kirstein Business Library & Innovation Center to discuss their unique framework for integrating cognitive development, financial strategy and wealth’s impact on children. “It is highly unlikely that we will ever find ourselves saying ‘WOW, I feel like an awesome parent or grandparent! I have just successfully down streamed assets with minimal tax impact,’” Jessica Grande, Senior Client Advisor, said jokingly. However, her message was loud and clear: the heart of what parents want most for their children goes beyond technical solutions. A core element of the broad strategy development process employed by LEVATUS Wealth Services takes problem solving back to its basics - To arrive at meaningful answers, one must begin with the most meaningful elements of the questions. This certainly applies to the topic of children and wealth, which was explored by Liz Darling, Jessica Grande and Susan Dahl during the lively roundtable discussion. Without spending time focused on the goals that matter most, those successfully down streamed assets could become an impediment to children flourishing. LEVATUS seeks to change the status quo by giving parents an innovative set of tools that helps them to navigate wealth’s impact throughout the various stages of cognitive development. Susan Dahl, CEO of LEVATUS, noted, “There are many, many gifts that wealth gives children: the ability to see the world, a great education, but wealth has other consequences as well. These are seldom discussed but can really have considerable influence on your children's journey to adulthood.” As advisors with decades of experience, the LEVATUS Wealth Services team seeks to integrate this impact with financial strategy. Due to the unique aspects of each stage of cognitive development, children are ready and able to absorb different lessons at different times in their lives. Liz Darling, Senior Client Advisor, shared an example of an inappropriately timed lesson that she and her husband tried to teach their four-year-old. It involved spreadsheets and the time value of money. “We totally overwhelmed her with compounding interest calculations. It got to the point where she dreaded allowance time each week!” Lesson learned, speak to kids where they are cognitively. As with most things in life, the solutions and strategies are not “one size fits all”. “Every child is different just as every family is different,” Susan explained. While implementing the tools mentioned, it is important to note that the pattern is more important that the individual moments. As moms to 10 children collectively, this team of women certainly understands that life is not perfect and, of course, while wealth does impact children, it is only a piece of the puzzle.